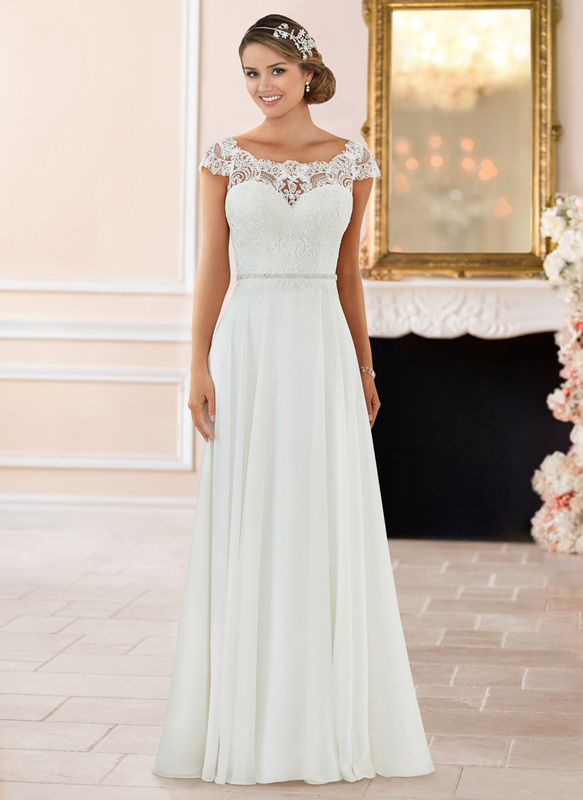 Relaxed, casual and oh-so-chic, this beach wedding dress was made for your oceanside celebration! 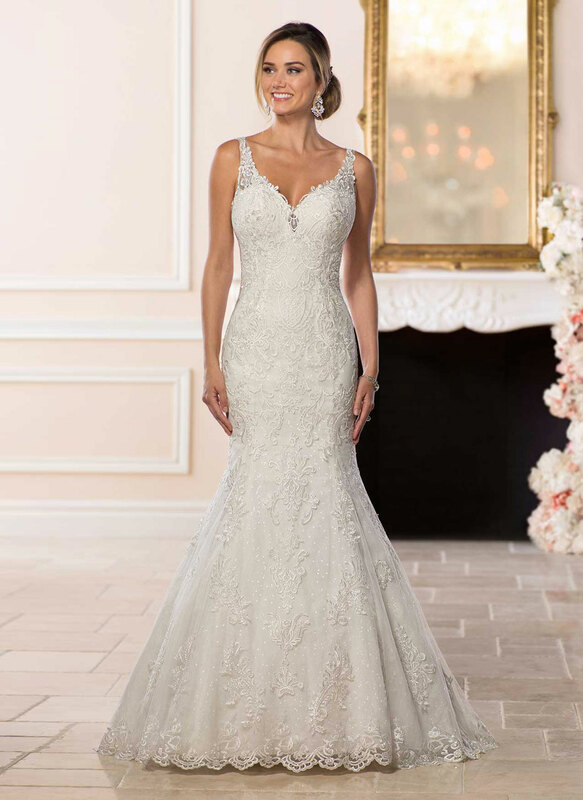 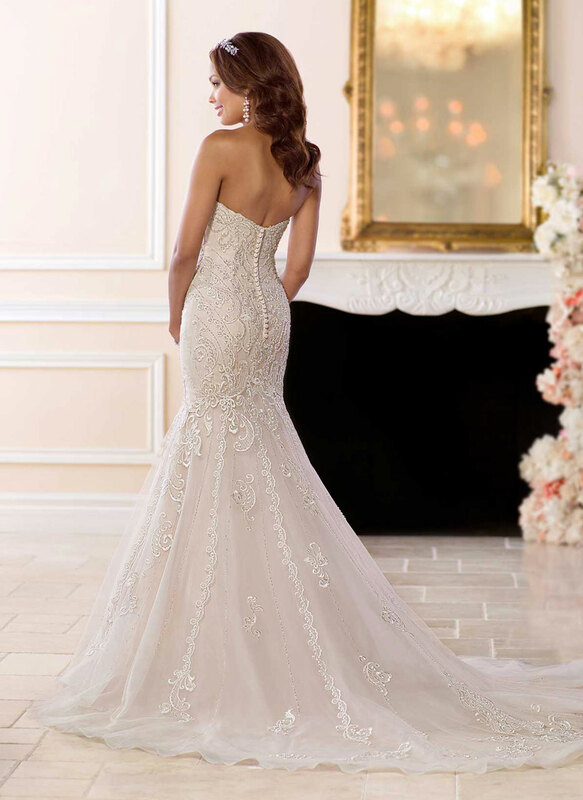 The breathtaking, lace bodice of this gown features a light, organza underlay, adding to the illusion of a sheer bodice, while providing a bit of coverage. The illusion-lace neckline features lace detailing and an off-the-shoulder look, which only enhances the whimsical feel of the dress.